In this video we upgrade a contributed module that's had a updated release. Let's tackle the process of updating a contributed module first. 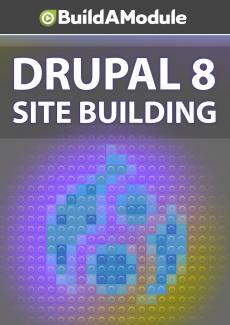 So you can see step-by-step instructions on drupal. org/node/250790. So first it suggests reading any documentation like upgrade. text and readme. text. So I'm going to jump to the route directory of my Drupal site. I'll expand the modules folder and color box. And I don't see any upgrade. text files. Let's take a quick look at the readme. It has features, installation, nothing about update. Okay so we're just going to go through the standard upgrade process. It suggests backing up your database and files, which we've already done, and then put your site into maintenance mode. And you can get to the page at admin, config, development, maintenance. So we'll go to configuration, and here's the development subheading, and here's maintenance mode. And let's put this on, and save configuration. So now if we go to this page, in a browser where we're an anonymous user, we'll get this site under maintenance message. Next it says replace the module code with the updated version. And it has instructions for manually doing it, or doing it via drush. We're going to go with the manual method.